Spokane falls, Spokane County, is situated on the line of the N.P.R.R. 161 miles from Wallula Junction, and contains a population of about one thousand. The location of this little city, on the left back of the Spokane river, at the falls of the same, from which it derives its names, is magnificently beautiful. No language that I can employ would fittingly express the grandeur of its situation. The water power furnished by the river is only equalled, and not excelled, by two other cities in the United States, ..... Fall River, Mass., and Minneapolis, Minnesota, which will in the near future attract capital for investment in manufactories. Nature and nature's God ordained that a manufacturing metropolis would be built on the present site of this city. Spokane Falls possesses many other advantages, being in the center of a large agricultural and stock raising country, with an immense amount of timber of the best quality. Many attractions are offered to the pleasure seeker who delights in beautiful scenery, and the disciples of Isaak Walton will find here the best trout fishing on the habitable globe. Business of all kinds is represented here, and the merchant and tradesman never have cause to complain, for they are never overtaken by dull times. The city boasts of good hotels, churches and schools, and everything else that goes to make up a happy and prosperous people. The Spokane Falls Chronicle, a weekly newspaper published by the Northwest Publishing Company and edited by A.K. Woodbury, is doing herculean work in the interest of the section where it receives its principal patronage. 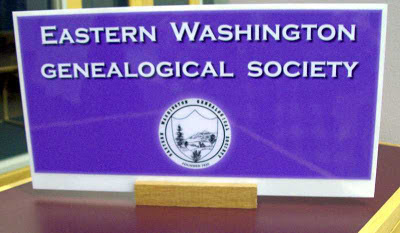 I found this in an 1883 city directory in the Joel E. Ferris Research Library, Eastern Washington Historical Society Archives & Library, next to the MAC Museum while I was researching something else. Since it was so interesting to me, I thought it might would be to you too. One note; in 1883 it was already SpokanE Falls?? EWGS received a nice thank you card from the family of Agnes Harton. 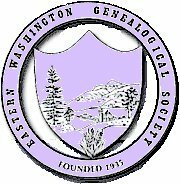 Agnes was a long time EWGS member and will be missed. The card is signed by her son, Dave, and he wrote: "I must have 6-8 bins of geney (sic) stuff in my garage...maybe I will get to it when I retire." My thought? Oh, Agnes, why did you leave a mess of 6-8 bins of stuff and not an organized legacy for Dave and your other posterity????? An article on our Spokesman newspaper on 17 Nov 2011 explained that descendants of Stephen Liberty dedicated a marker at Liberty Lake that honors him. He was born Etienne Eduard Laliberte and moved to the west side of the lake in 1871; he had changed his name to Stephen Liberty sometime after 1862 when he emigrated from Quebec to the United States. Don't we enjoy these local history articles? Do we let our paper know that we do?? My eye caught a really sad bit in the "Found" want ads on 14 Nov; somebody found a box apparently containing the ashes of somebody! "Found: "Naomi" born 4-6-1954, date of death 2-5-2008. A memorial box." This was found way out on east Sprague; call Ana (509-315-9418) if this is from your family. Surely hope somebody does! One of my favorite eating places is Azar's on North Monroe; their gyros are the bestest! While lunching there recently, I picked up a brochure to "Learn the Art of Bellydance." Humm...... I have the belly but not the ethnic heritage for this activity. But I'll bet there are many of Greek heritage or interest who might??? Be sure to attend the December 3rd EWGS meeting at the downtown Spokane Public Library. We'll be showing a brand new DVD on researching cemeteries. Coffee, cookies and conversation begins at 12:30. Nearly free parking west down the Main Street hill. Oh, and do bring your 2012 dues. Thanks Eva, Steve and the maintenance people that made the stands for the signs. 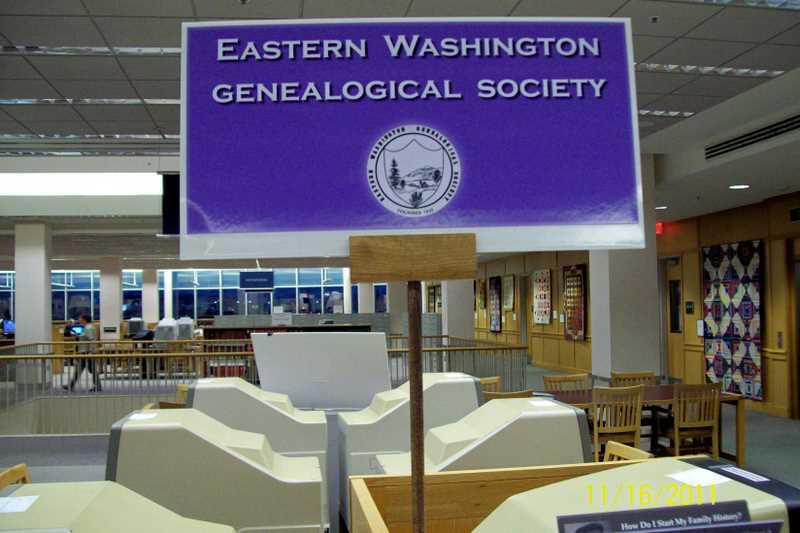 Did you know: Spokane County Library Offers Civil War Information? Wednesday, Dec 7th, 7:00...... "The Secession Crisis." Why did Abraham Lincoln's victory in the presidential election of 1860 cause the seven Southern states to secede?? Sunday, January 15th, 2:00 ..... "Strategy & Politics in the Civil War." Dr. Conlon will show how politics on the local, national and international levels influenced strategy for both sides during the Civil War. Saturday, March 10th, 2:00 ..... "Slavery in the Civil War: From Contrabands to the 13th Amendment." How slaves and the institution of slavery played important roles in the politics of the Civil War. Wednesday, May 16th, 7:00 ..... "The Unending Civil War." How Americans in the North and the South have been fighting over the Civil War to this day. Saturday, November 12th, 2:00............ "The Civil War Reenactment Group Presentation." Members of the local Civil War Reenactment Group will come with their gear and their stories. 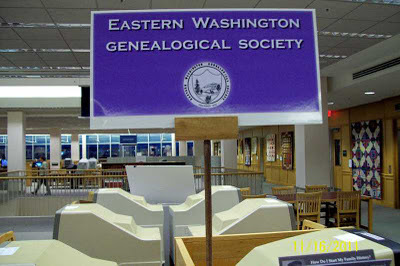 Wednesday, February 8th, 6:30 ..... "Civil War Genealogy." Our own Miriam Robbins (a direct descendant of 8 veterans!!) will demonstrate how to find and use a variety of primary documents and online resources to research the lives of your Union and Confederate forebears. Saturday, April 21, 2:00 ..... "Angus Scott Pipe Band's Kenyon Fields: Civil War Music." In historic military costume, Kenyon will play Civil War drum and fife music and provide readings from the Civil War. Now I don't know about you, but these programs sound fabulous to me! And I will be marking my calendar and planning to attend! 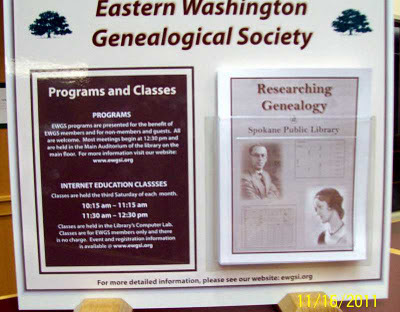 If you are a Legacy Family Tree genealogy software user, or are simply curious about this genealogy software program, you may be interested in the Legacy Users Group (LUG), which will meet next Wednesday, November 16th, from 1:30 to 3:30 PM in the meeting room of the Shadle Park Branch of the Spokane Public Library at 2111 W. Wellesley. This meeting is free and open to the public. Regular attendees will take turns in the role of moderator for each meeting. 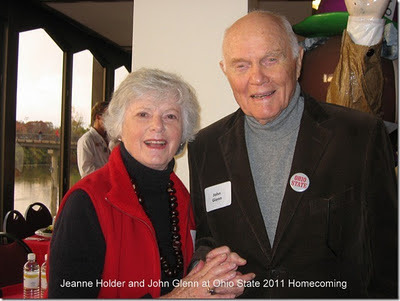 If you have more questions, please contact Donna Potter Phillips here. SPL offers FREE computer classes; did you realize? The only prerequisites are that you must be able to use a mouse, a keyboard, and scroll bars and be familiar with using a web browser. Space is limited, so it would be wise to call the branch and pre-register. 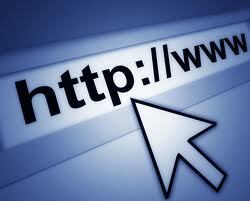 Think this might help YOU get over some of your fear of the Internet? ?